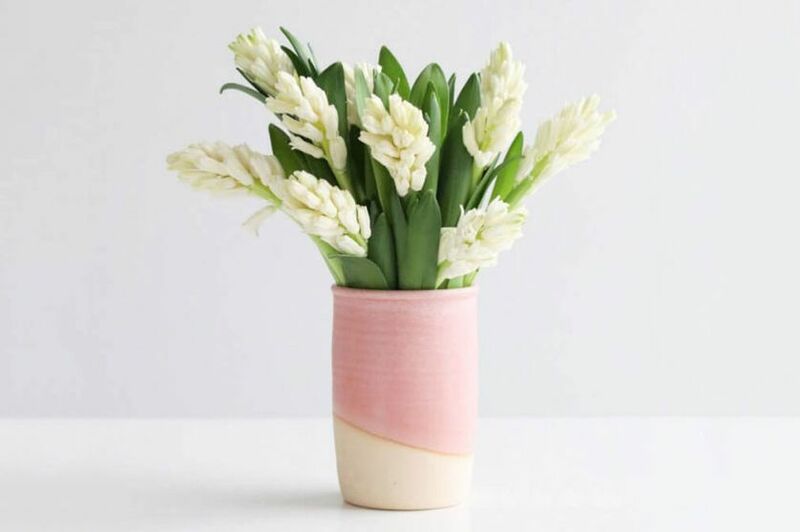 There are just a few days until Valentine’s Day, and if you’re thinking of buying flowers for a special someone (or just yourself), a number of flower-delivery start-ups are now delivering unique bouquets with just a few clicks, often as quickly as the same day. 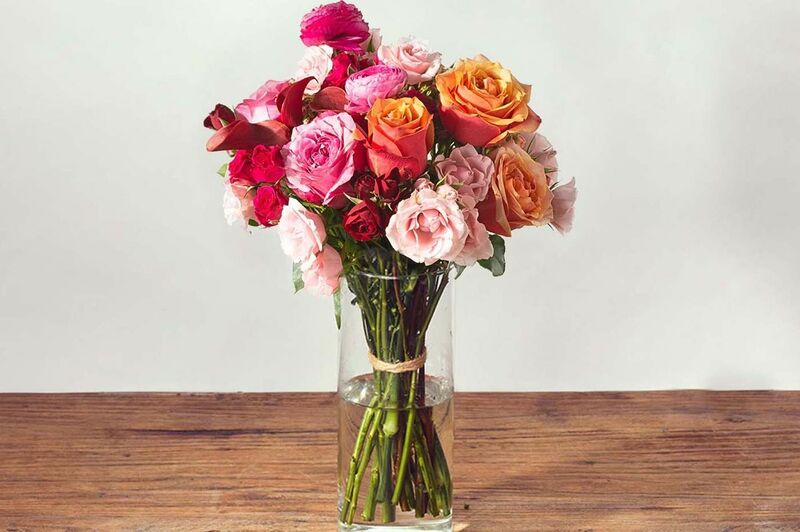 To find the best of the new players, we put six of these online florists to the test, ordering a bouquet from each and seeing how the arrangements stood up to shipping and a few days on display. 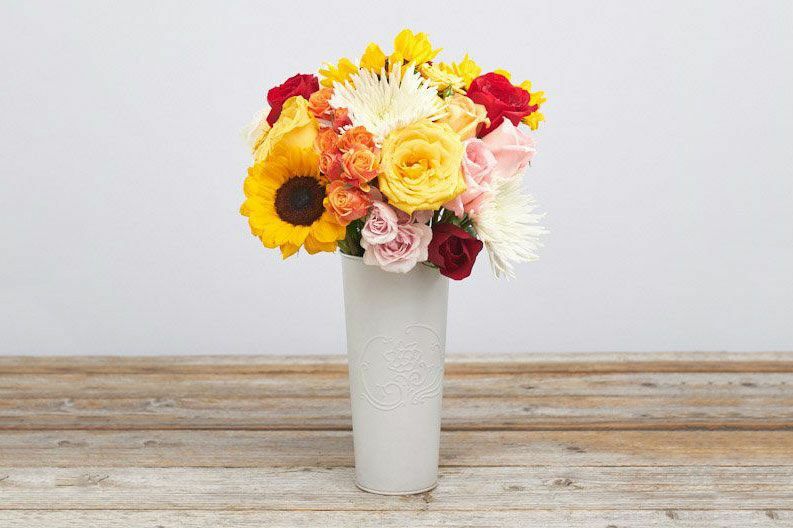 We chose not to include delivery services like Floom and BloomNation, which are essentially marketplaces for local florists because, while their selections are terrific, the options vary widely based on your location. 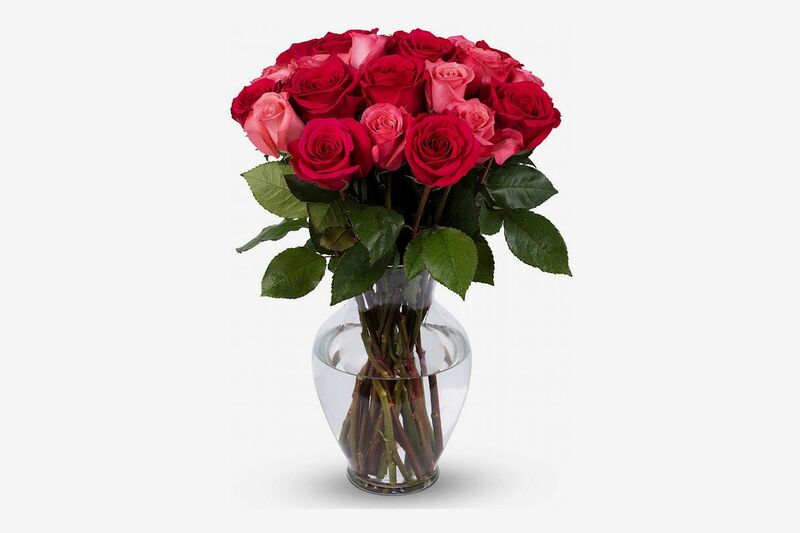 The same goes for big players in the flower-delivery space like 1-800-Flowers and FTD that function as middlemen between customers and local florists. 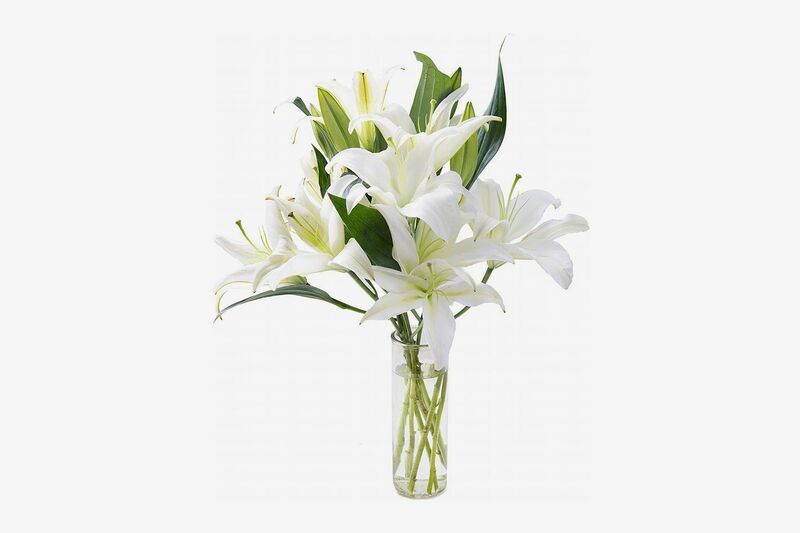 Instead, we focused on services that arrange and deliver standardized flower arrangements, often shipped straight from the farms directly to the consumer. 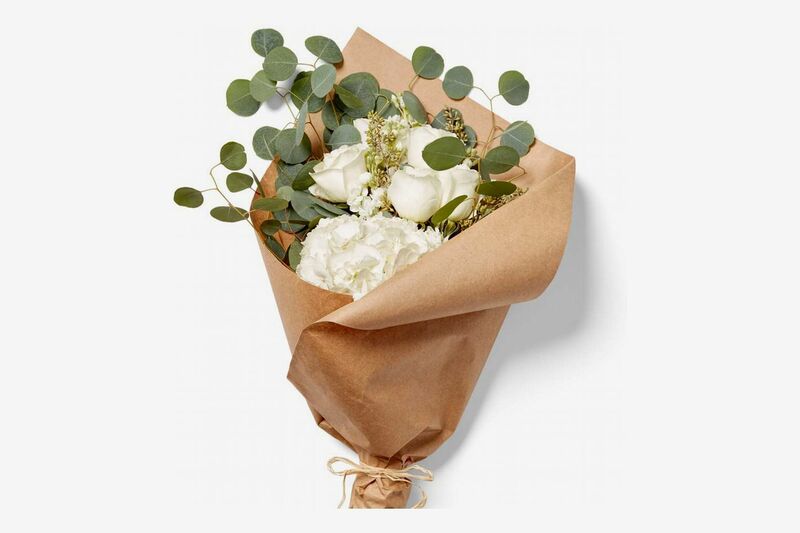 To determine which of the new services to use, we ordered a $50 bouquet (or as close to $50 as we could find) from each service, assessing the flowers delivered and determining which was best for what you’re looking for. 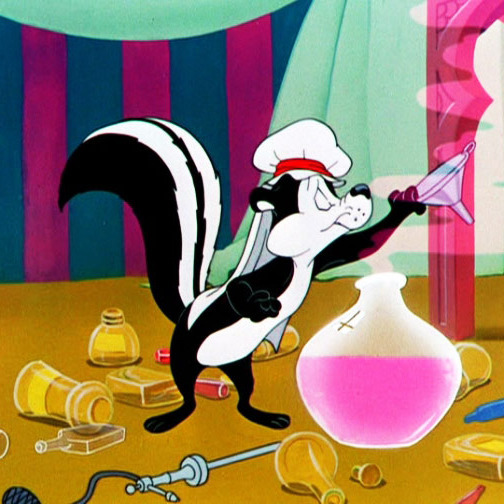 Below, the results. 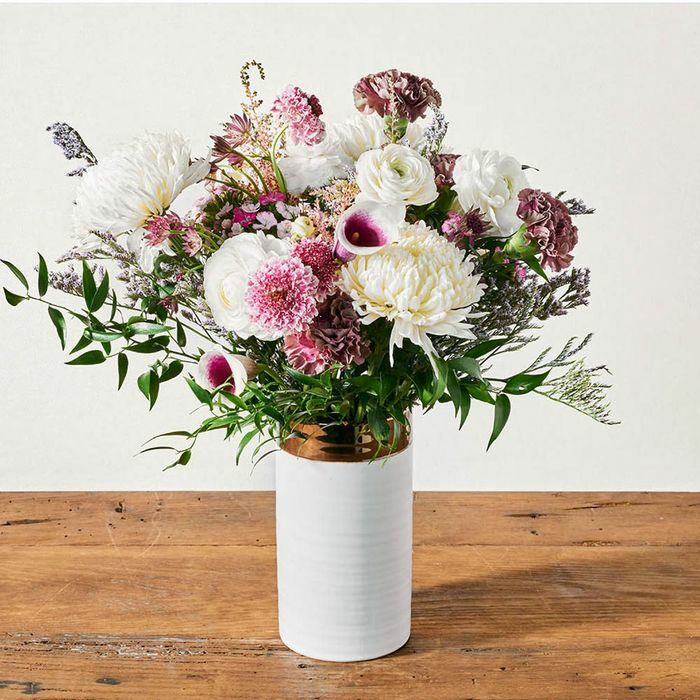 Selection: From a $36 bouquet of ten pink and purple Matthiola incana stems (vase not included) to a $78 “grand” bouquet of lilies, eucalyptus, poms, and Queen Anne’s lace, Bouqs offers one of the widest selections of arrangements. 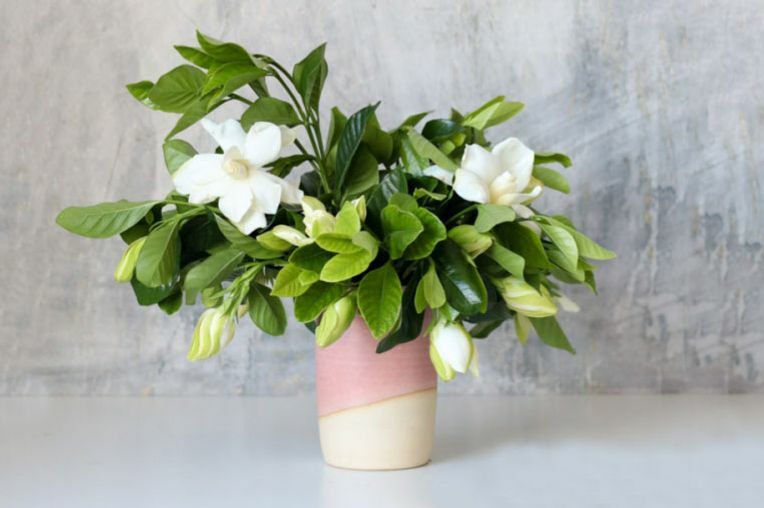 You can shop by flower type (if you’re crazy for hydrangeas), or occasion (if you’re looking for the perfect bright and sunny birthday bouquet), or even choose from a selection of plants like succulents in ceramic pots or a dramatic climbing ivy. 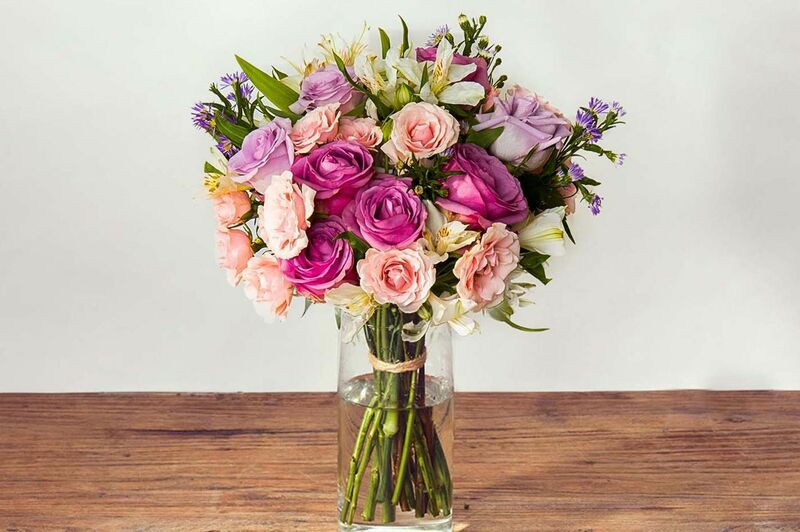 Our thoughts: Our grown-in-California flowers (the Ace arrangement) arrived two days after ordering (although you can opt for next-day or same-day delivery depending on the type of bouquet). 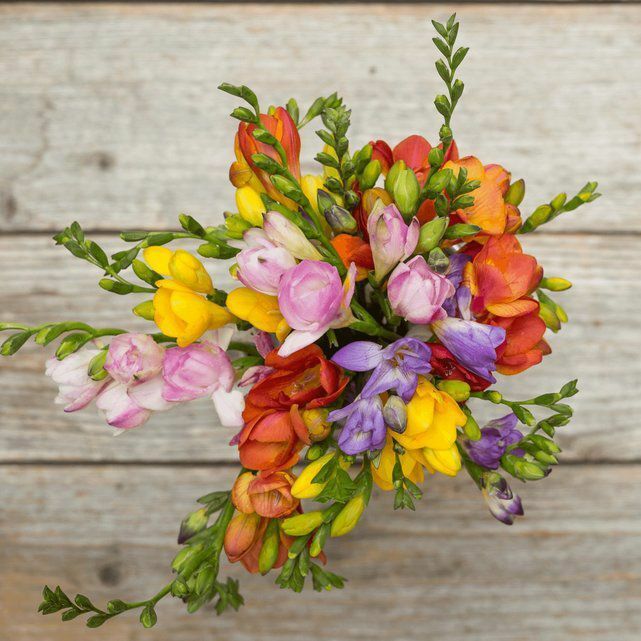 As described on the site, the rainbow freesias (ours were purple, yellow, and white) came in bud form, which, while maybe not the most stunning upon first impression, lasted longer than some of the flowers that arrived already opened up. 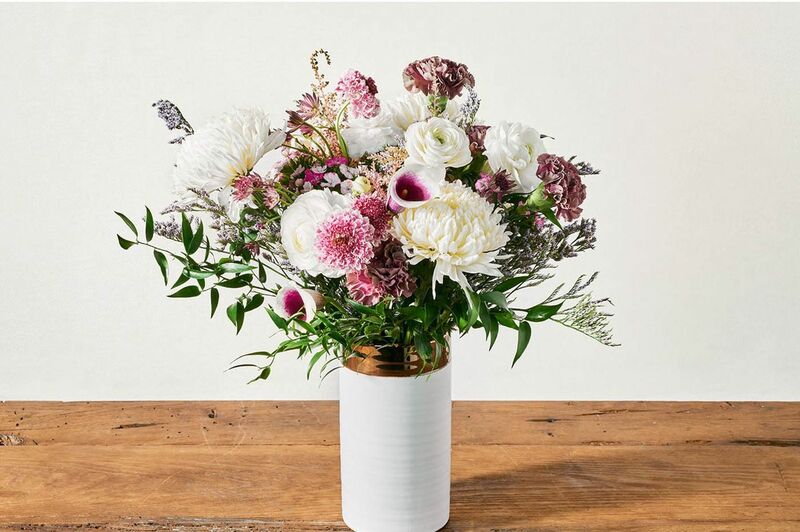 If you’re buying these as a gift, though, we’d recommend choosing an in-bloom variety — like this chrysanthemum, pink carnation, purple rose, and solomio bouquet, since the buds make for an underwhelming presentation. TL;DR: These cut-to-order, straight-from-the-farm flowers are among the freshest you’ll find online and will last a while. 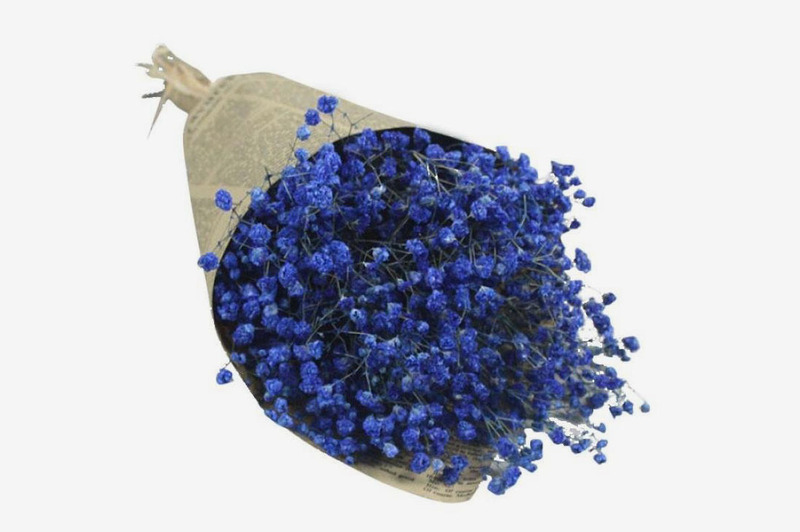 Plus, if you have a specific type of bloom in mind, chances are it’ll be part of their wide selection. 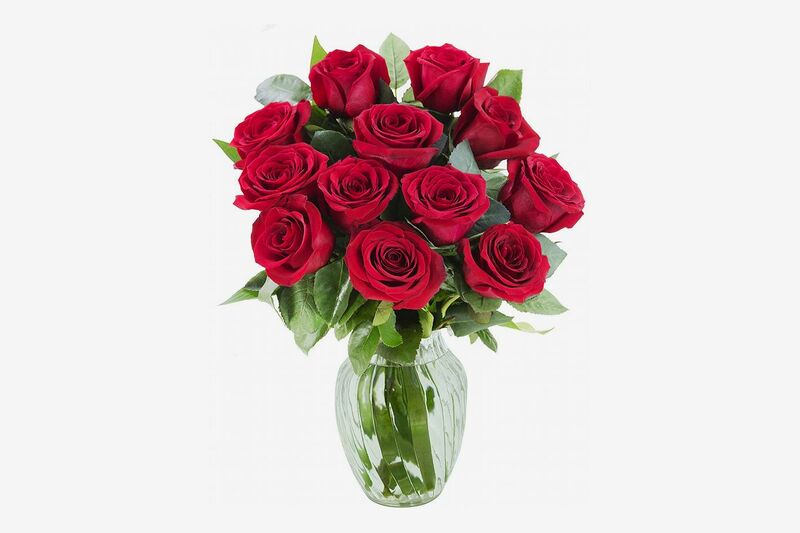 From $38 at The Bouqs Co.
$46 at The Bouqs Co.
$38 at The Bouqs Co. 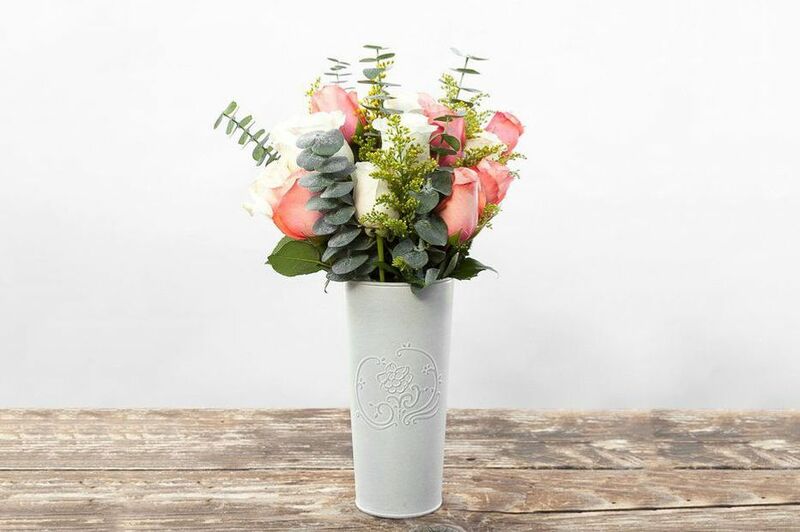 Selection: UrbanStems’ collection is tightly curated so their selection is smaller than some of their competitors. 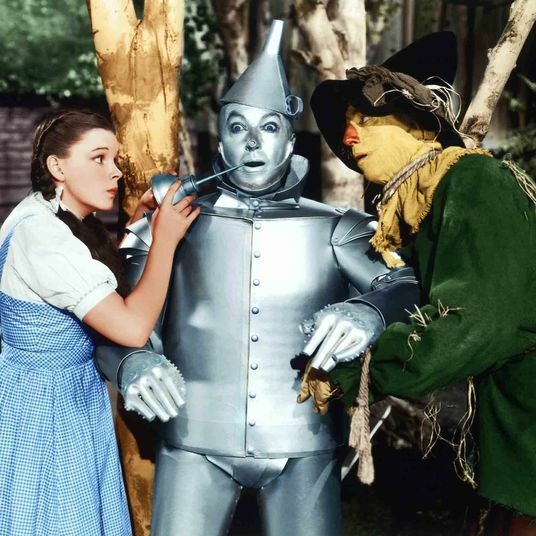 However, because they rotate their offerings frequently you can often find new arrangements for sale — especially if you choose one of their subscription packages. 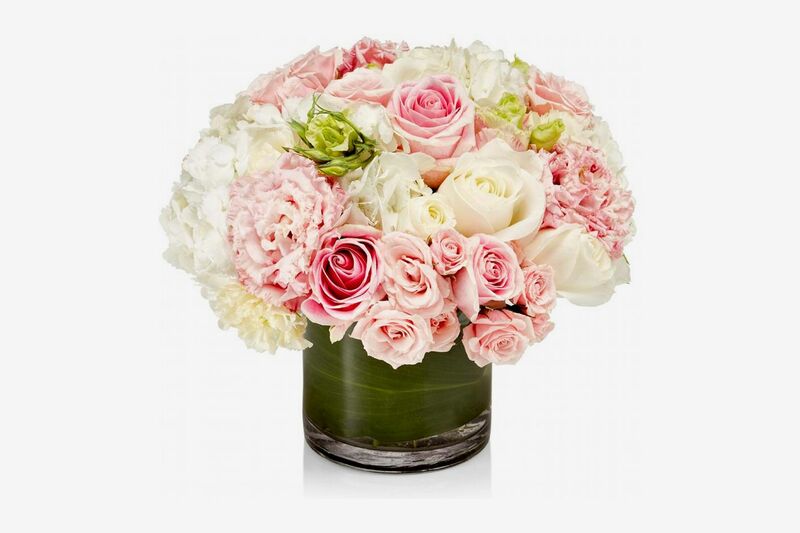 Currently featuring Valentine’s Day–themed bouquets, their options include the Romeo (assorted roses and eucalyptus) and the Pink Champagne (pink scabiosa, dianthus, and spray roses), ranging from $55 to $149, as well as bouquets arranged in collaboration with Vogue editors. 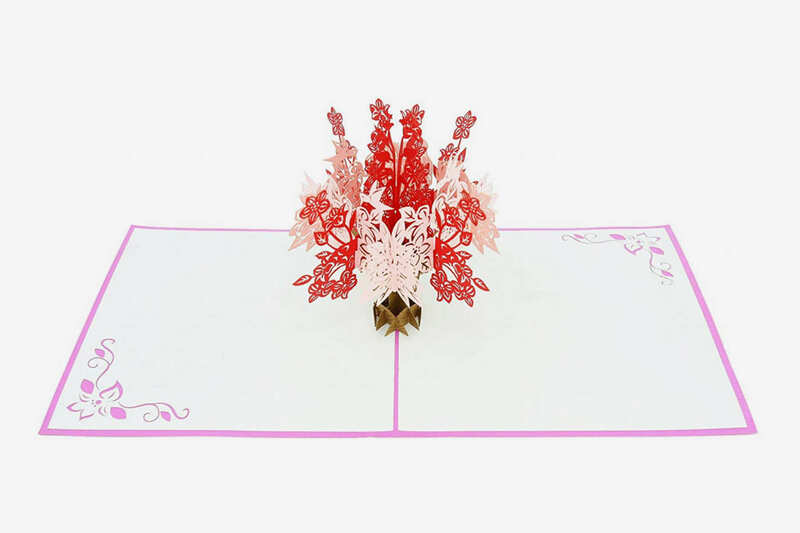 Our thoughts: Our flowers (the Tinsel) were delivered within two days of ordering in UrbanStems’ signature packaging that looks like a gift box. 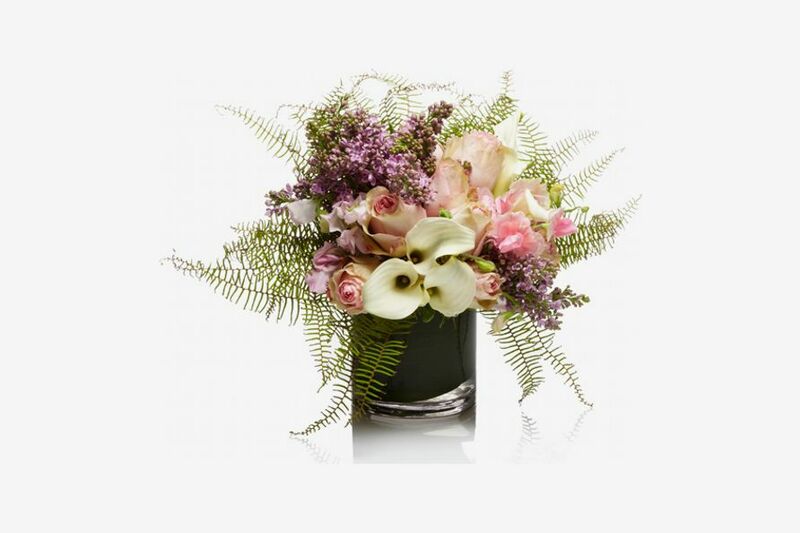 The arrangement came in beautiful condition and the thistle, yellow roses, berries, and eucalyptus looked fresh for several days after arrival. 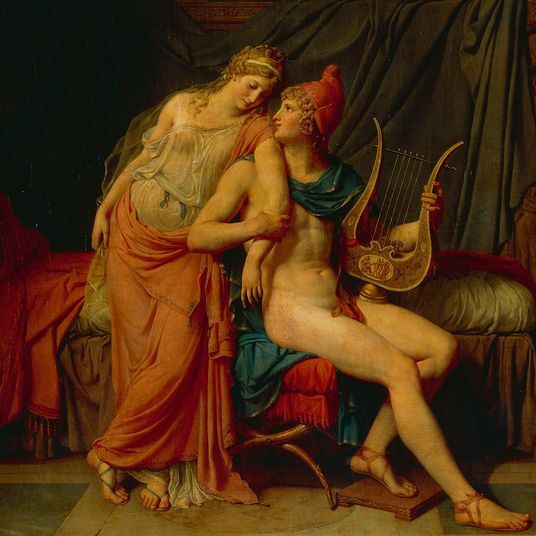 The mix of colors in the arrangement gave it a full, textured appeal. This one definitely generated some oohs and aahs upon arrival. 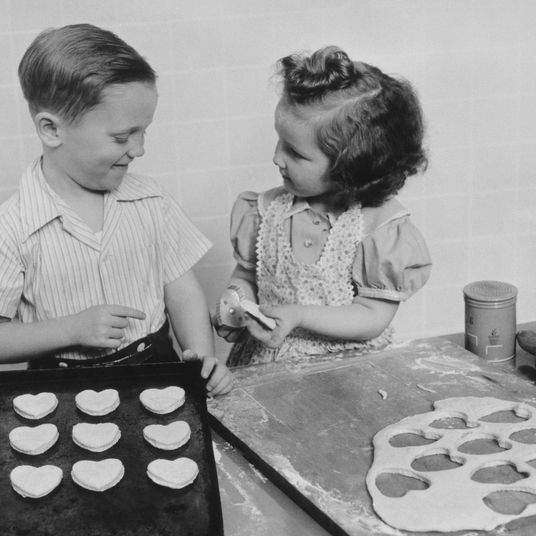 TL;DR: These were our absolute favorite — the ones we would get if we were to order our own based on the reasonable prices and unique arrangements. 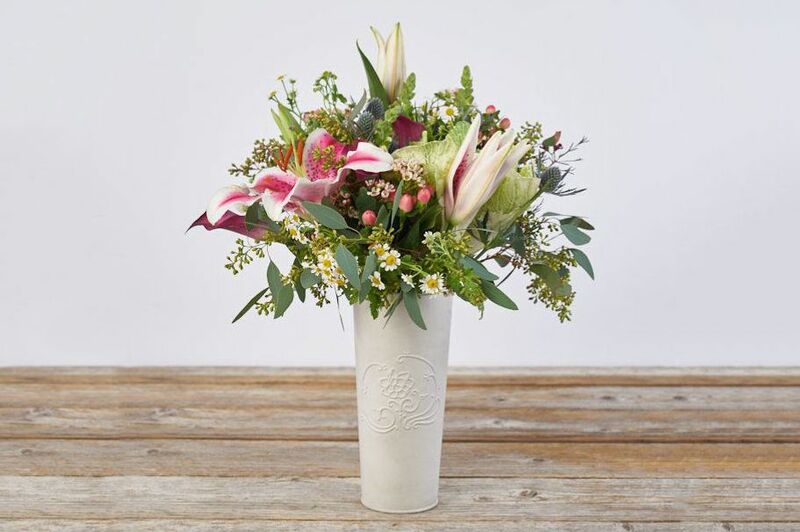 Selection: With new, seasonal arrangements offered every day, San Francisco–based Farmgirl Flowers prioritizes quality over quantity and keeps their selection limited to the freshest flowers available. 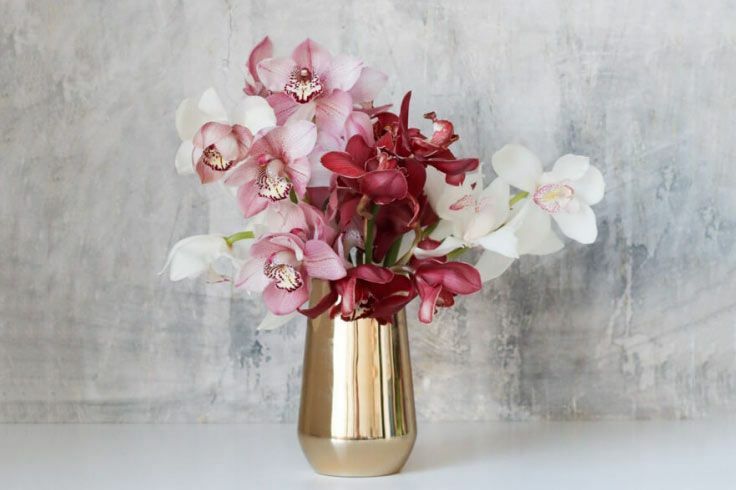 Their options range from a simple $45 bouquet of lilies to a megasized $99 market box with foliage and seasonal blooms like ranunculus, roses, and protea. We also like their offbeat selections, like these ranunculuses in a tiger mug. Our thoughts: Our bundle of tulips (the How Sweet It Is) arrived looking lovely and perfectly packaged along with a box of macarons. 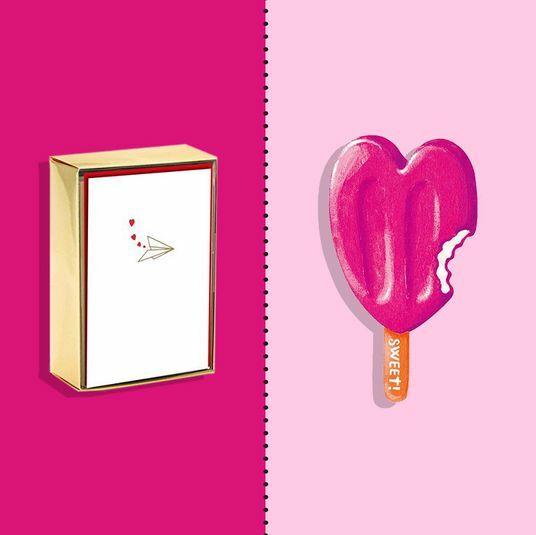 With added extras like latte-shaped chocolates, Farmgirl’s offerings have a bit more personality — that’s a pro or con depending on the sensibility of your recipient. The vases they come in are a nice touch, though. TL;DR: Because their bouquets sell out quickly, go with Farmgirl for an environmentally conscious recipient who isn’t necessarily looking for a specific flower. 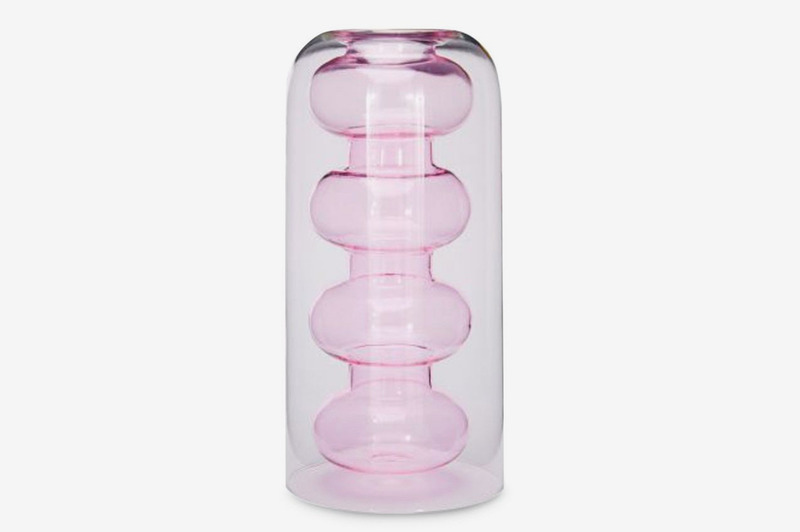 There are nice vase options if you’re looking for something different than standard glass, too. 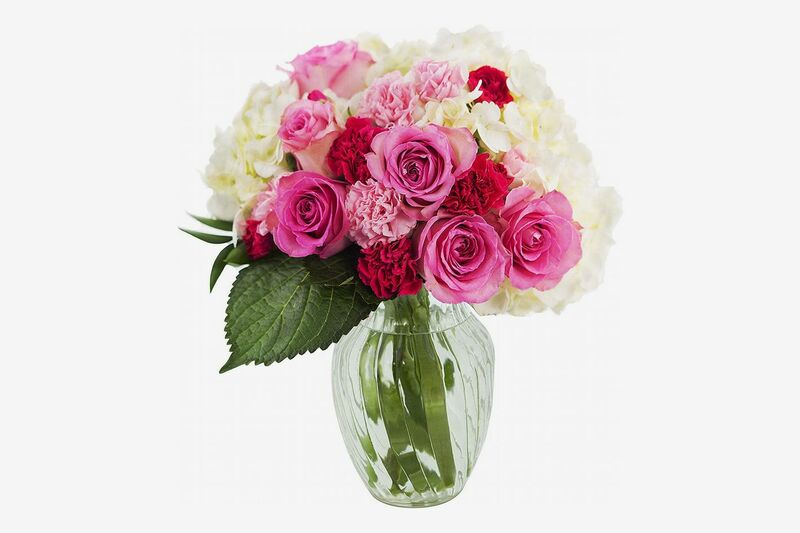 Selection: Starting at $55 for an “arrange your own” bundle of peach and white flowers with seasonal greens, H.Bloom’s wide-ranging selection includes an array of colors and varieties in display-ready vases, like the $85 Pink Berry (white hydrangea, pink roses, berries), the $125 Sunberry (green dianthus and yellow roses), and goes all the way up to a $375 Red Velvet bouquet of red roses, amaryllis, and orchids. You can also get plants like potted jade or high-end orchids. Our thoughts: Our flowers arrived the next day (same-day delivery is also available) from a local florist (possibly because we ordered an arrange-your-own bouquet, the Soft and White Bundle) in great condition. 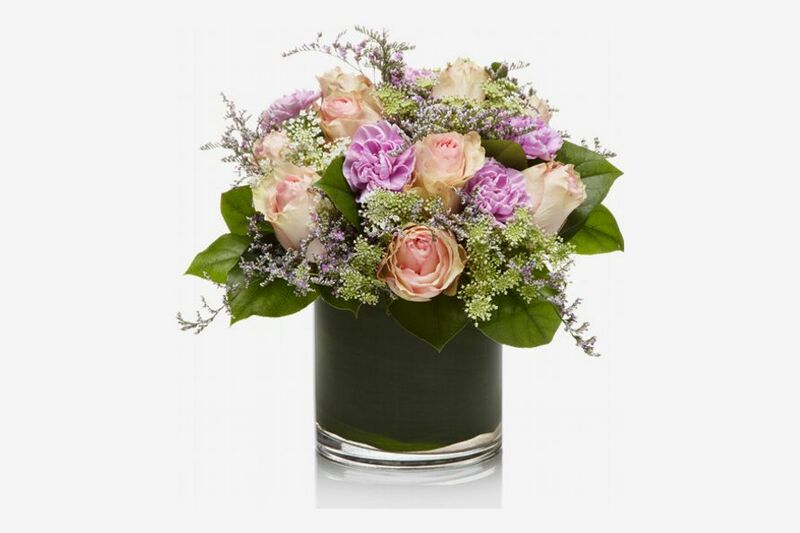 With white roses, white hydrangea, and eucalyptus, it was nearly identical to the arrangement on the site. Even with the DIY caveat, these looked professionally arranged and ready to show off. 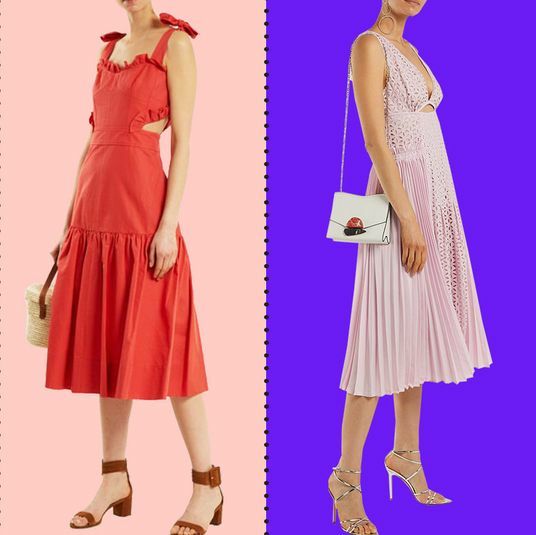 TL;DR: If you’re willing to spend a little extra cash, go with one of these to make a big statement. 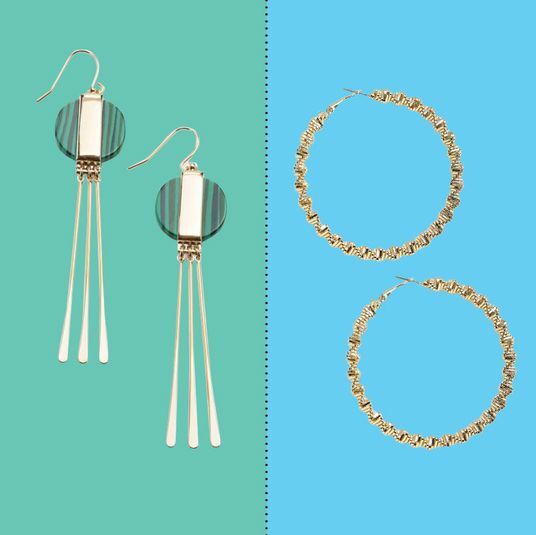 These are what we’d get if money were no object. 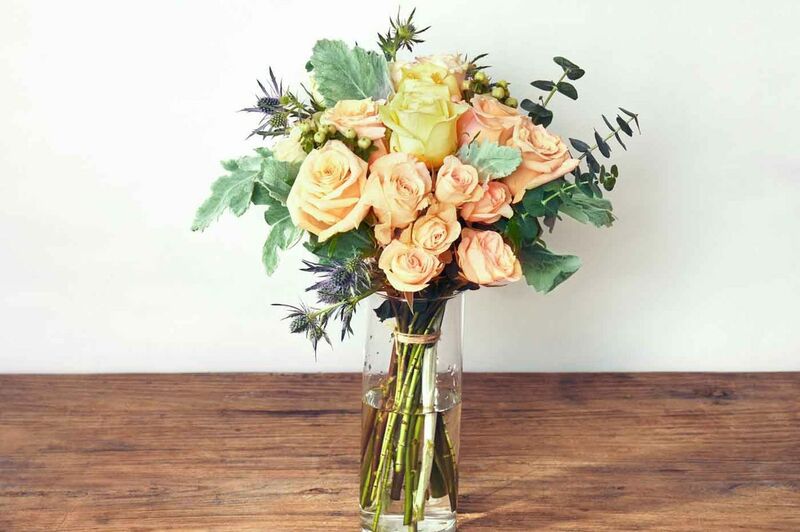 Selection: Compared to the more carefully selected arrangements found at UrbanStems or H. Bloom, the Benchmark Bouquets arrangements aren’t as visually exciting (in the office we compared them to “bodega flowers”), but the price can’t be beat. 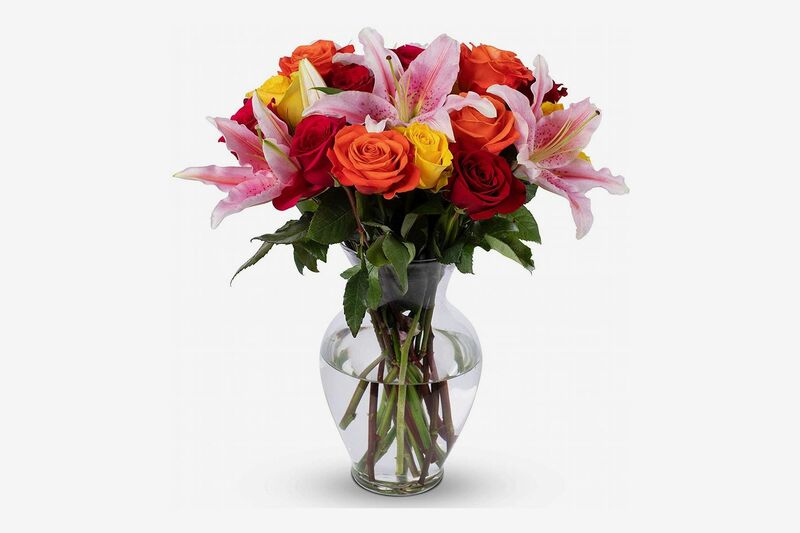 With two-day Prime shipping you can get a $36 bundle of multicolor lilies (vase included) or a $57 red rose and white lily arrangement. All the arrangements are under $60. Our thoughts: Our Big Blooms arrangement arrived two days after ordering in a Benchmark-branded box with a vase and some flower food. 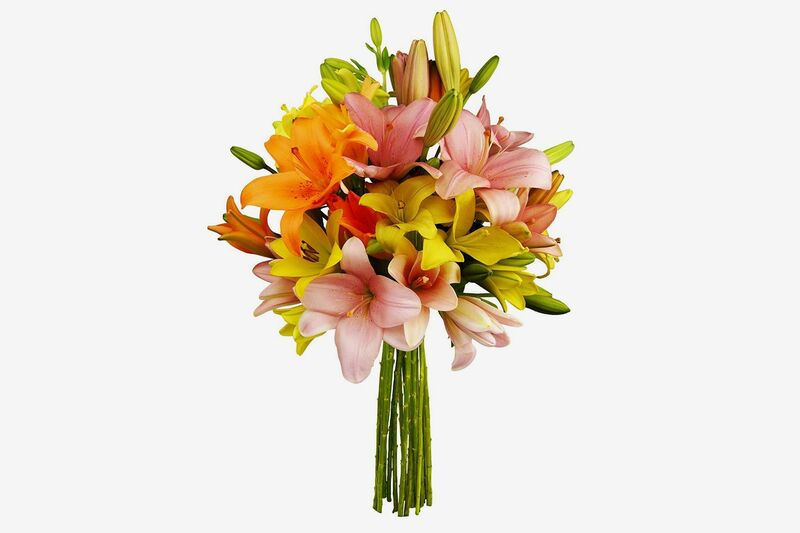 With free shipping (for Prime members) the cost and convenience of the Benchmark Bouquets make up for the somewhat lackluster selection. 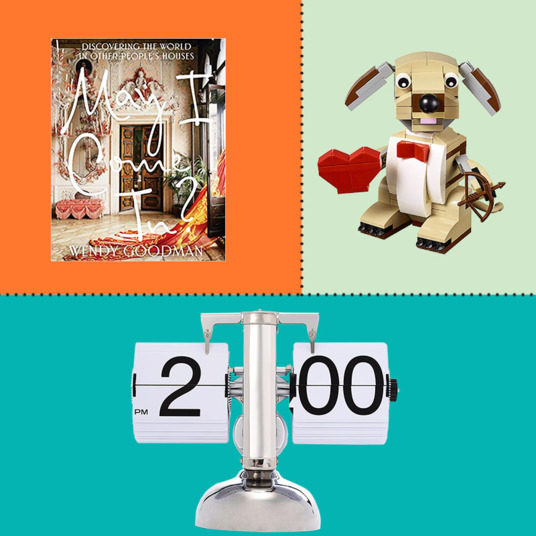 We also like that a vase was included for an all-in-one gift at a price that beats out some of the “nicer” services. TL;DR: If you’re on a tight budget, and love the convenience of Amazon Prime, these are a solid option — not the best, but serviceable. 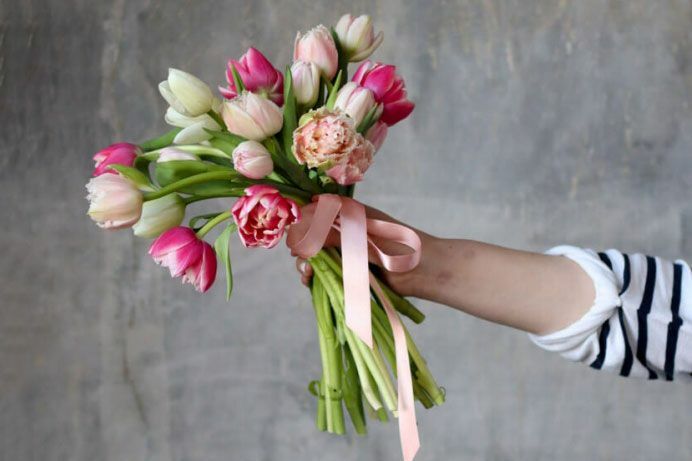 Selection: With KaBloom, like Benchmark, you’re going to see some standard-looking bouquets but at great prices and with fast Prime shipping. 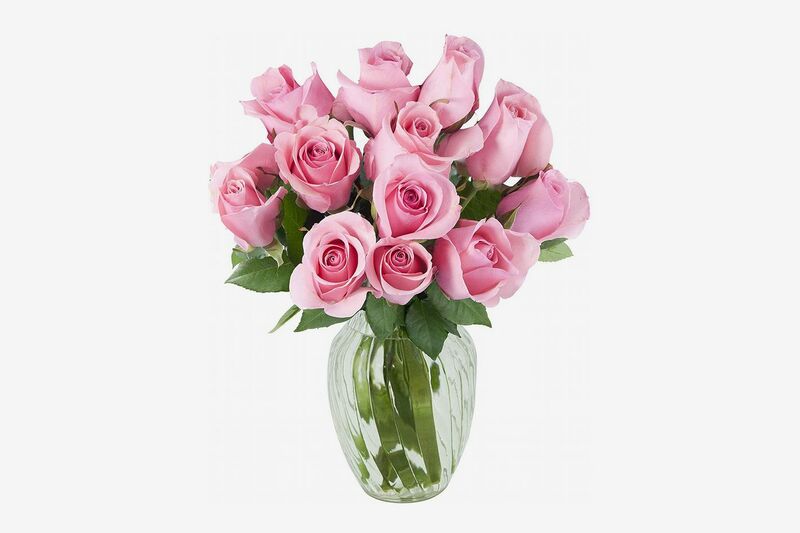 Go for their single-variety selections like these $47 pink roses or $24 tulips. 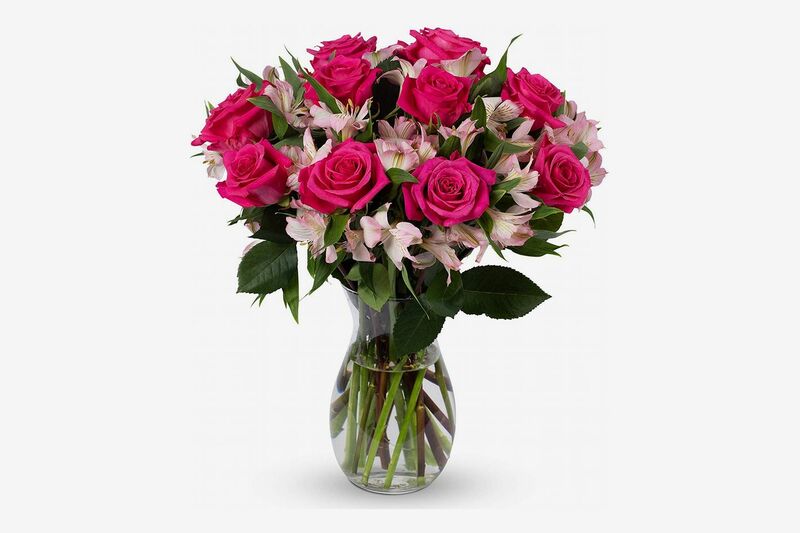 KaBloom also offers attractive, blooming plants like pink cyclamen or red anthurium. 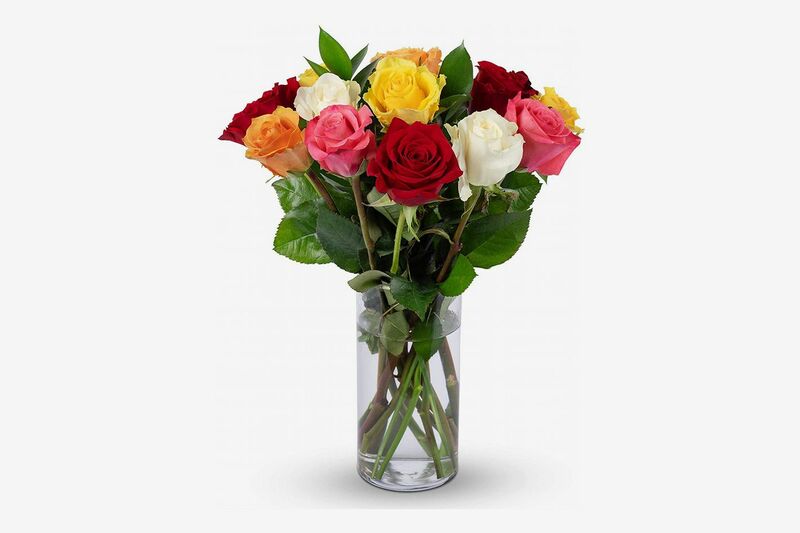 Our thoughts: Our arrangement arrived ready to display in a glass vase, right on time with two-day shipping. In the Let Them Eat Cake arrangement, the white hydrangeas helped fill out the bouquet of roses and carnations, but overall it did look a bit boring compared to the UrbanStems or H.Bloom bouquets. 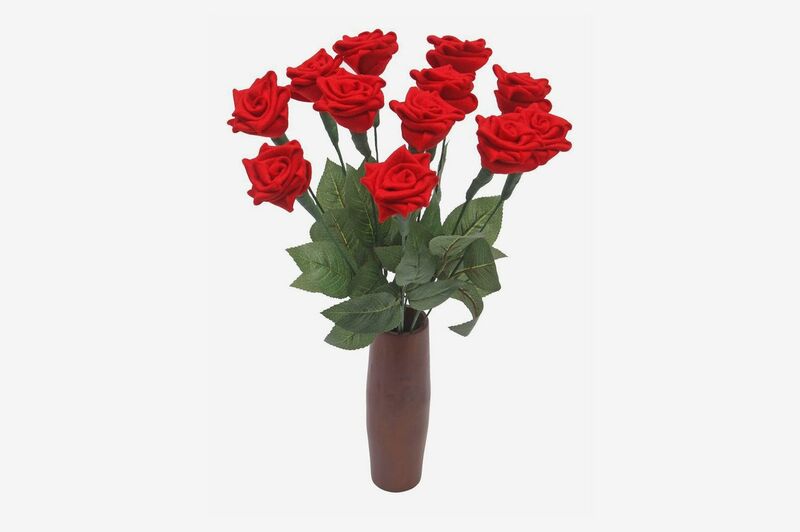 TL;DR: Go with these if you want a simpler look (like a dozen red roses in a glass vase) at a relatively low price.